The fresh smell of the air, millions of stars overhead, and great company around a warm fire are some the best parts of camping. But when the cold, damp morning rolls around, you need a steaming cup of coffee to warm you up and get you moving. Whether you’re camping on the side of a mountain or glamping in a three-bedroom RV with a flat-screen, you have several options to make coffee while camping. Each year, tens of millions of Americans go camping. With a steadily increasing number of US adults enjoying a daily cup of coffee, it’s safe to say that a good number of those campers require a morning cup of joe. Whether you’re a seasoned camper or headed to the woods for the first time, we’ll show you how to make coffee while camping. Of course, you’ll need coffee grounds and clean water to use any of the methods available. If you’re the sort of camper who backpacks for a week, carrying minimal gear, and getting back to nature, try making your coffee the cowboy way. 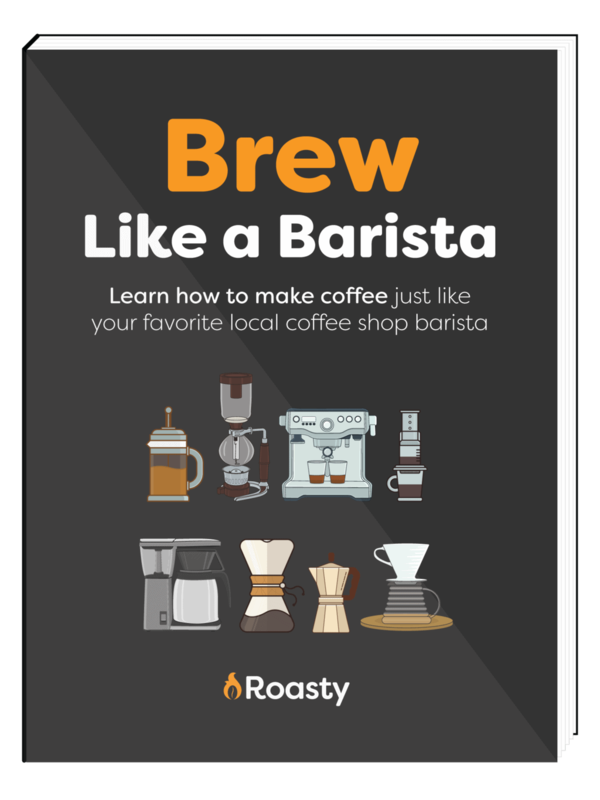 It’s one of the simplest ways to brew when your resources are limited. 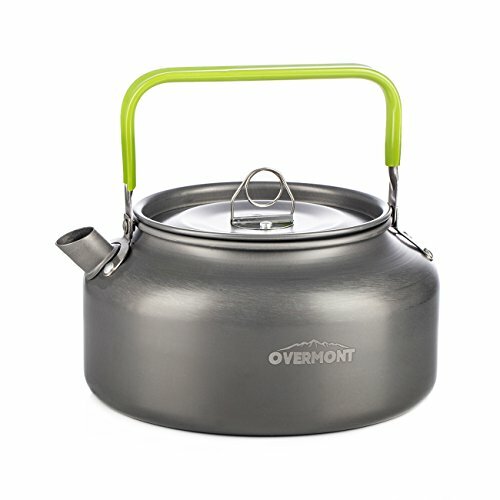 You’ll just need to get yourself a kettle that can be placed over the campfire If you click this link and make a purchase, we earn a commission at no additional cost to you. or whatever your heat source will be. To make Cowboy Coffee, first fill your kettle with water and bring to a boil. Next, remove your kettle from the heat source, and let it cool enough to stop boiling. Thirty seconds should be plenty of cooling time. Stir in two tablespoons of coffee grounds per serving. You should hear a sizzle when the grounds hit the hot water. You may even see a little foam. Let your coffee rest for two minutes. Stir it up again, then rest for two more minutes. Once the grounds settle to the bottom, pour your coffee in a mug slowly to avoid as much grit getting to your cup as possible. 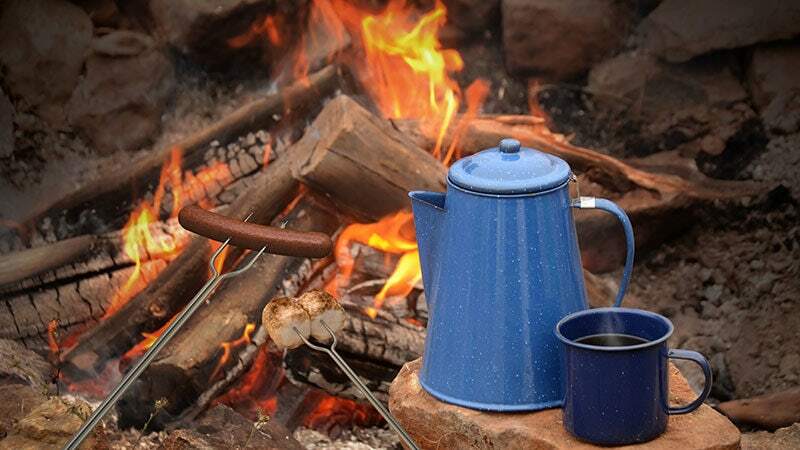 If you still want to brew your coffee over a campfire with minimal accessories to carry, but you want it to taste better than Cowboy Coffee, get an old school enamel percolator If you click this link and make a purchase, we earn a commission at no additional cost to you. .
Unfamiliar with how a percolator brews your coffee? It’s really pretty cool. As your water heats up, it’s pushed up a tube and sprinkles over your coffee grounds, then trickles back down into the kettle. This cycle continues until the water becomes freshly brewed coffee. 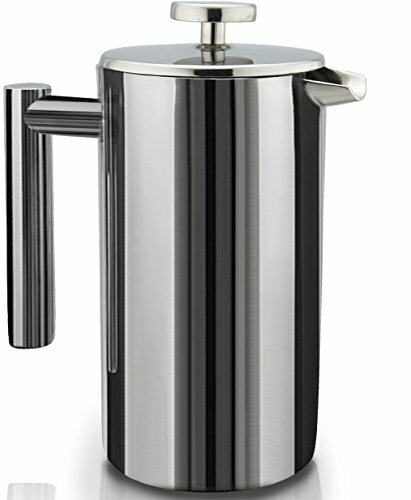 To brew with a percolator, you’ll open the lid and remove the tube and basket insert. Fill the kettle with water. Place two tablespoons of coffee grounds per serving into your basket. You may use a round paper filter in your percolator basket to keep the grounds mostly out of your coffee. Next, put the tube and basket assembly back inside the kettle, and place the lid on top. Set your percolator on your heat source. If it has a clear top, you’ll be able to watch the water go from clear to brown as it perks. Even if you don’t have a good view, you can let your coffee perk for eight to ten minutes. Let it rest for two minutes before serving, so any grounds that made it into your brew will settle before you pour. This option is about as close as you can get to your own drip coffee maker back in your home kitchen without electricity. It won’t work over an open fire because it’s designed specifically to sit right over the top of a camping stove burner. The base of the coffee maker has two legs which rest in front of and behind the burner. You can see the flame to adjust it correctly and watch your coffee brew right in front of you. Just like your drip maker at home, to use this camping coffee maker If you click this link and make a purchase, we earn a commission at no additional cost to you. , you’ll pour water into the back reservoir. Swing open the front filter basket and add enough grounds for up to ten servings of coffee. Turn on your camping stove to heat up the water. You’ll brew a full pot of coffee in about ten minutes. You can also use this coffee maker like a kettle to heat water for tea or hot chocolate, or to quickly rehydrate trail foods. To use this little trick to brew yourself a cup of coffee, all you’ll need is a heavy-duty rubber band If you click this link and make a purchase, we earn a commission at no additional cost to you. 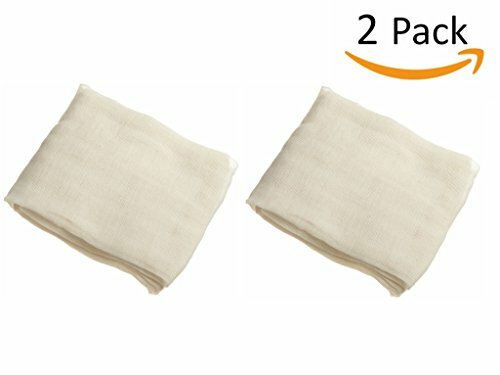 and some cotton cheesecloth If you click this link and make a purchase, we earn a commission at no additional cost to you. or a foldable, mesh coffee filter If you click this link and make a purchase, we earn a commission at no additional cost to you. . You’ll also need some patience. Place your cheesecloth on your cup. Turn it over the edge of your cup, then hold gently with one hand. Using your other hand, press the center of the cloth down into your cup a few inches so you’ve made a little bowl. Wrap your rubber band around the outside to secure your cheesecloth filter. Put two tablespoons of coffee grounds into the filter. Boil water in a pan or kettle. Allow the water to cool for about 30 seconds. It should no longer be boiling, but still steaming hot. Just soak your coffee grounds with a little hot water, then let it bloom for a minute. Slowly pour water through the grounds until your cup is full. If you pour too quickly, you’ll overflow your filter. Once your mug is full, carefully remove the rubber band and filter to drink your coffee. 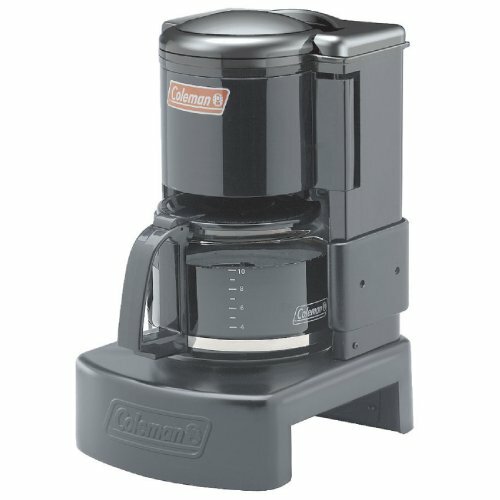 When you think of coffee makers for camping, your mind probably doesn’t turn to fancy glass and copper French presses. 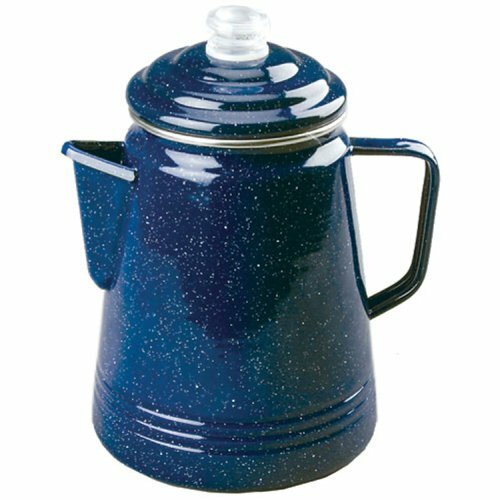 However, French press coffee makers are available in such durable materials as double-walled stainless steel If you click this link and make a purchase, we earn a commission at no additional cost to you. and plastic If you click this link and make a purchase, we earn a commission at no additional cost to you. —both perfect for camping. To make French press coffee, add one tablespoon of grounds per cup. Boil one cup of water per serving, then let it cool for 30 seconds. Pour half the water into your press. Let the coffee bloom for one minute. Add the rest of the water, then let it steep for at least three minutes. The longer you let it steep, the stronger your coffee will be. Gently press the plunger as far as it will go. Pour your coffee into a mug and enjoy. Note:If you choose a plastic French press, be sure it’s of reputable origin and free of bisphenol-A (BPA) If you click this link and make a purchase, we earn a commission at no additional cost to you. so your brew is both delicious and safe to drink. If you love the portability of the rubberband and cheesecloth but not the process, you can get a filter that’s created to rest atop your mug without falling in. No rubber band necessary. This single serve version by Primula If you click this link and make a purchase, we earn a commission at no additional cost to you. is one of the most portable of our picks, lying completely flat when you’re not using it, while other filters take up slightly more space. 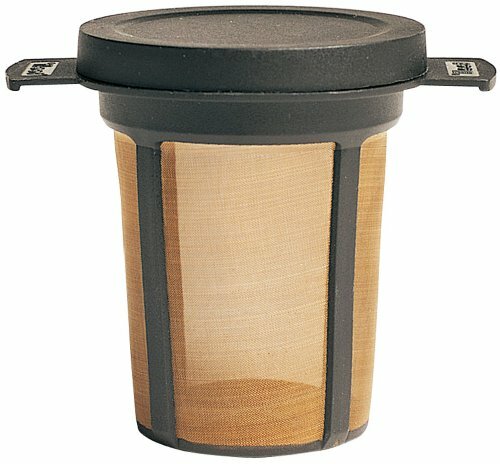 It’s one of the best options for filtered coffee when you’re backpacking. To brew coffee using this type of filter, you’ll follow the pour over coffee method. Place coffee grounds into the filter. Boil water in a kettle, then let it cool slightly. Slowly pour the water into the grounds. You may pause to let the coffee bloom before pouring all your water in. If you want a little extra zip in your cup, lift the filter above your cup and squeeze the remaining liquid and oils from your coffee grounds. Drink immediately. 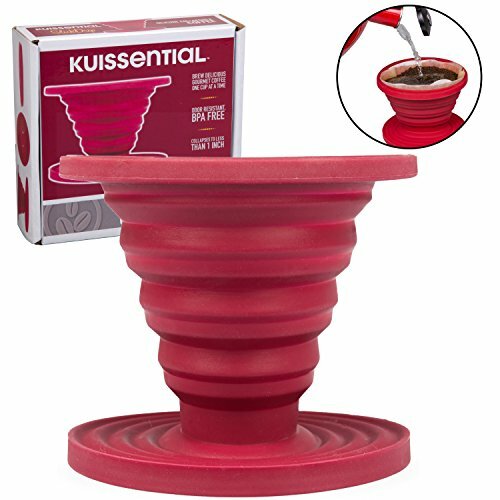 Another beautifully portable option for making drip coffee while camping. It collapses into a flat disc when you’re finished using it. This silicone filter cone If you click this link and make a purchase, we earn a commission at no additional cost to you. uses the pour over method to quickly brew a grit-free cup of coffee. The material doesn’t hold odors or leach chemical tastes. Plus, silicone won’t break when packed in your camping gear like other pour over makers could. When you’re finished using it, just rinse, wipe, and collapse it, then you’re ready to pack it up. You’ll pop open this cone, then set the bottom ring on top of your coffee mug. Place a #2 or #4 coffee filter inside, then add two tablespoons of coffee. Boil water, then let it cool slightly. Pour just enough water to saturate the coffee grounds, then give it a minute to bloom before pouring the remaining water in. Remove the cone and drink your coffee. 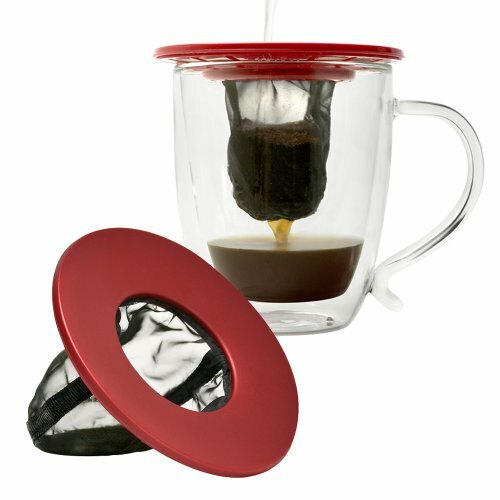 This product is similar to other pour over products except that your coffee grounds are submerged into your coffee cup. The little canister looks like a reusable coffee filter If you click this link and make a purchase, we earn a commission at no additional cost to you. , but it also has a lid. A little tab on each side of the lid rests on the top of your coffee cup, leaving the canister itself down inside your mug. To use the submersible filter cup If you click this link and make a purchase, we earn a commission at no additional cost to you. , fill it with coffee grounds (or tea). Secure the lid, then place it on your mug. Slowly pour hot water over the grounds until saturated. Allow it to bloom for a minute before you continue slowly pouring the rest of the water through the filter. Lift the filter out before drinking your coffee, of course. If we had an award for easiest cleanup, the AeroPress would get it. It’ll make up to three cups of coffee at once, then you just pop the grounds out and rinse it clean. You can even buy a zippered storage bag for carrying the press and accessories. It’s made from BPA-free plastic, so it’s safe and durable. Although the AeroPress makes coffee without electricity, it’s far from the least bulk of our coffee makers. If you’re looking for ultra-compact solutions, this isn’t it. 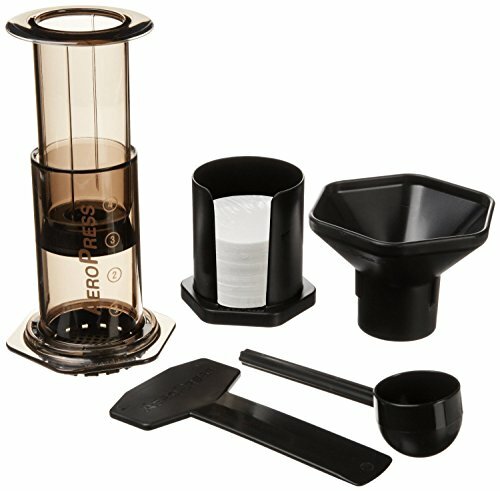 To brew in an AeroPress coffee maker If you click this link and make a purchase, we earn a commission at no additional cost to you. , put a filter in the bottom cap before tightening it onto your press. Put two tablespoons of coffee into the larger tube of the press, called the chamber, then set it on top of your mug. Boil water, then let it cool slightly before pouring into the chamber. Use the paddle to stir your grounds and water for a few seconds. Insert the plunger into the chamber and slowly press down until you can’t go any farther. Caution: Choose a sturdy mug when using the AeroPress, so it won’t tip over when you begin pressing the plunger down. 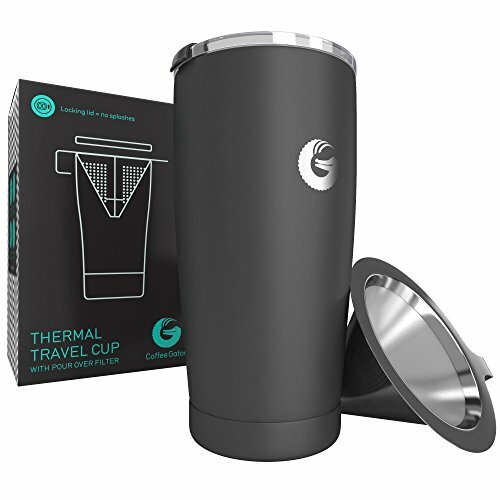 This could be the easiest solution of them all because you make your coffee right inside your travel mug using the included, reusable metal filter. The mug itself is vacuum-layered stainless steel so it keeps your coffee hot for a long time. Plus, it holds up to all the abuse of being hauled around in your camping gear. Place the filter on your pour over travel mug If you click this link and make a purchase, we earn a commission at no additional cost to you. , and add one to two tablespoons of coffee grounds. Boil water, then allow it to cool for 30 seconds before just soaking the coffee grounds. Let the coffee bloom for a minute, then slowly pour in the rest of the hot water. Remove the filter before you place the lid on your travel mug. This style of mug will keep your coffee hot for hours after brewing. You might have to go without a hot shower while you’re camping, but you don’t have to give up your hot coffee. Whether you’re backpacking in Nepal, sleeping on the side of a mountain, or glamping in an RV with your own bathroom, you can still brew fresh, hot coffee every day.